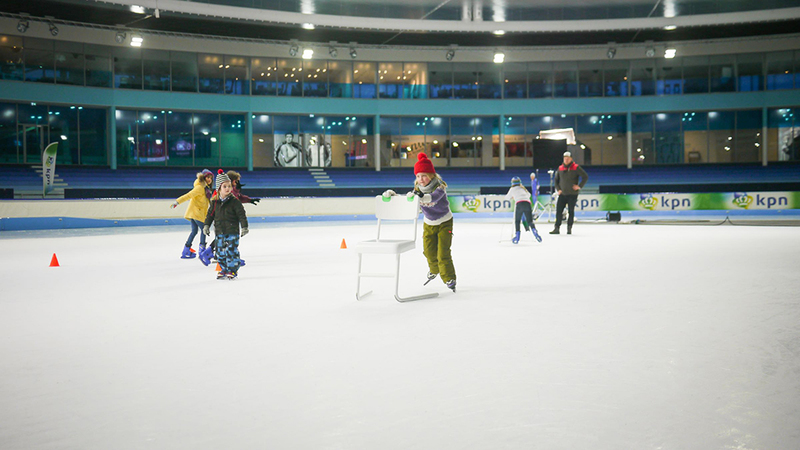 Traditionally, in the Netherlands children learn ice skating using a chair that helps them to keep their balance. 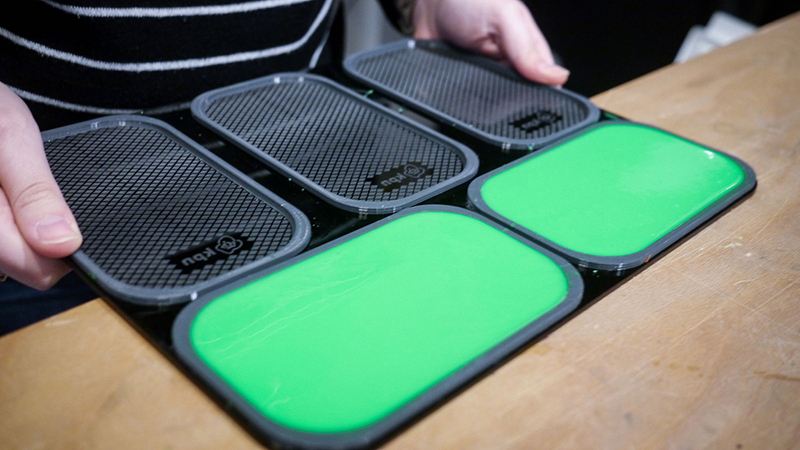 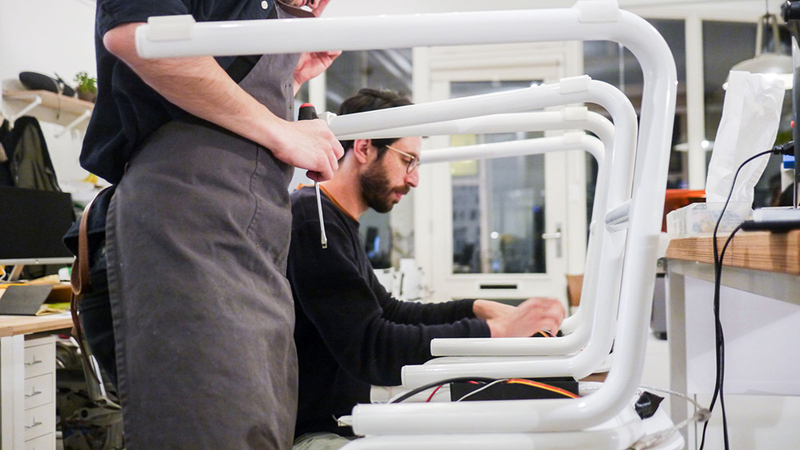 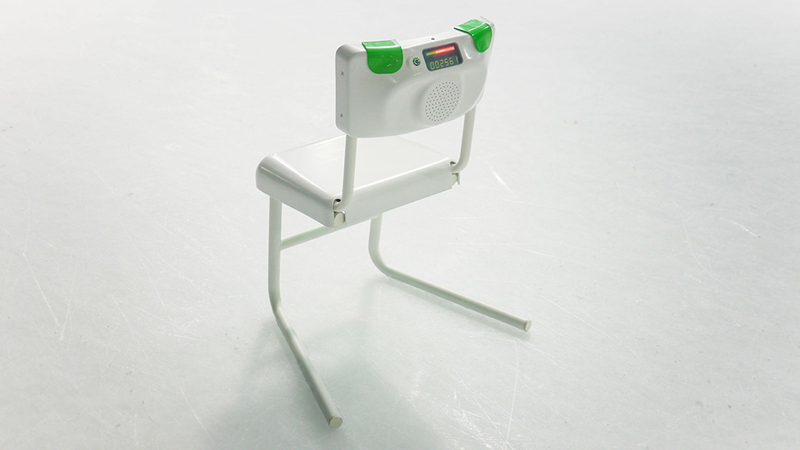 As part of a national campaign by the telecommunications company KPN, Frolic and N=5 developed a ‘smart’ ice skating chair – the KPN Schaatsstoel – to support and guide children during their first steps on the ice. 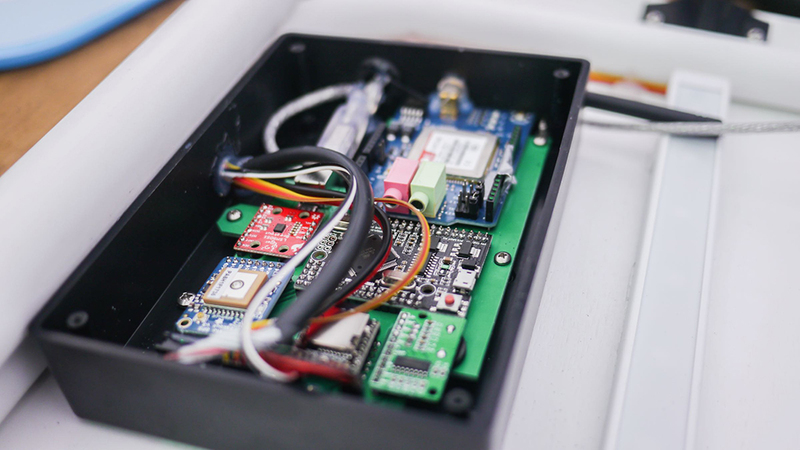 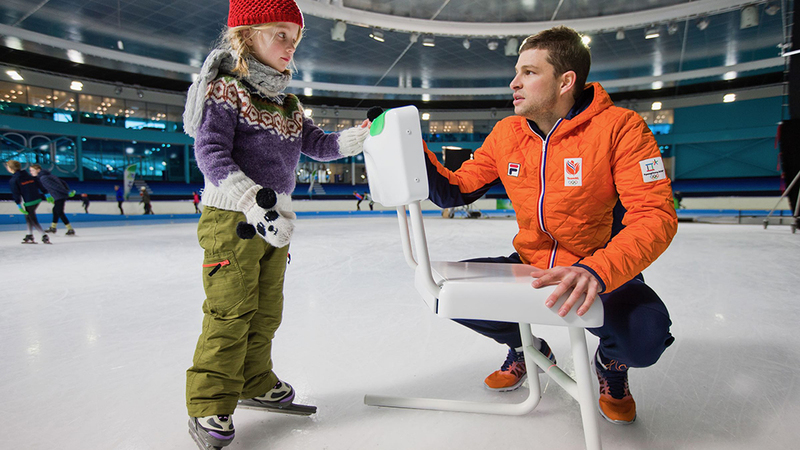 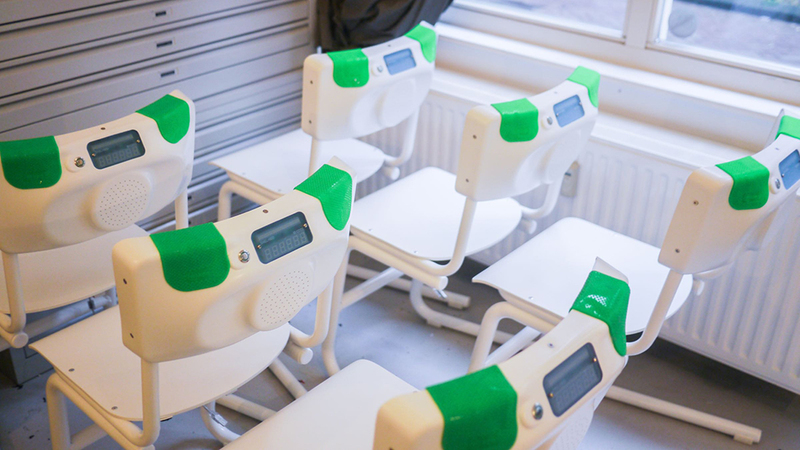 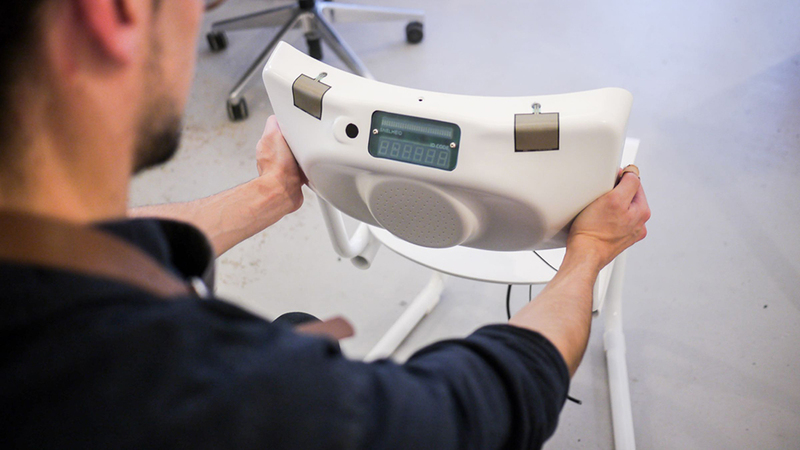 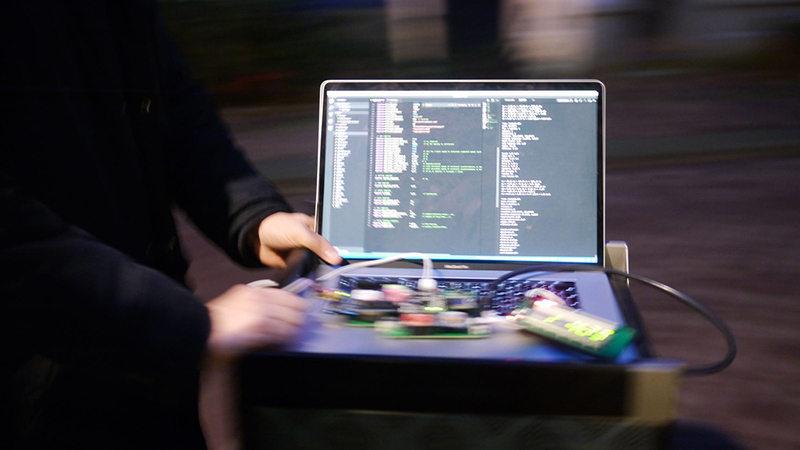 With several sensors measuring the child’s skating progress, the chair gives tips and tricks with real-time audio coaching from Sven Kramer, the Dutch Olympic Champion speed skater. 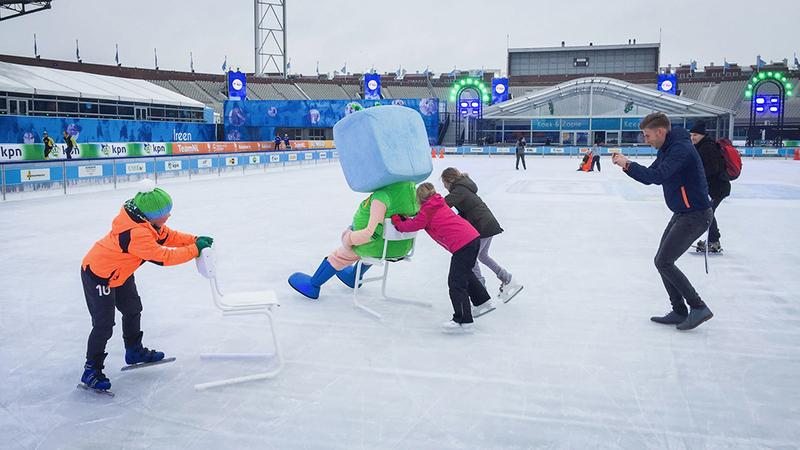 Twenty of them were created, which you can find on the ice-skating rink at the Coolste Baan (Olympic Stadium) in Amsterdam.